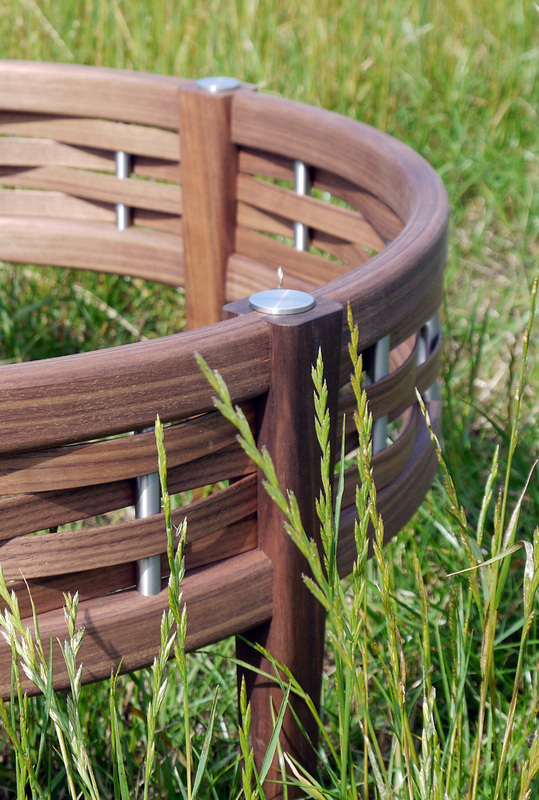 Wattle, or watul in old English, hurdles date back over 6000 years and are fencing panels woven from coppiced round wood timber. 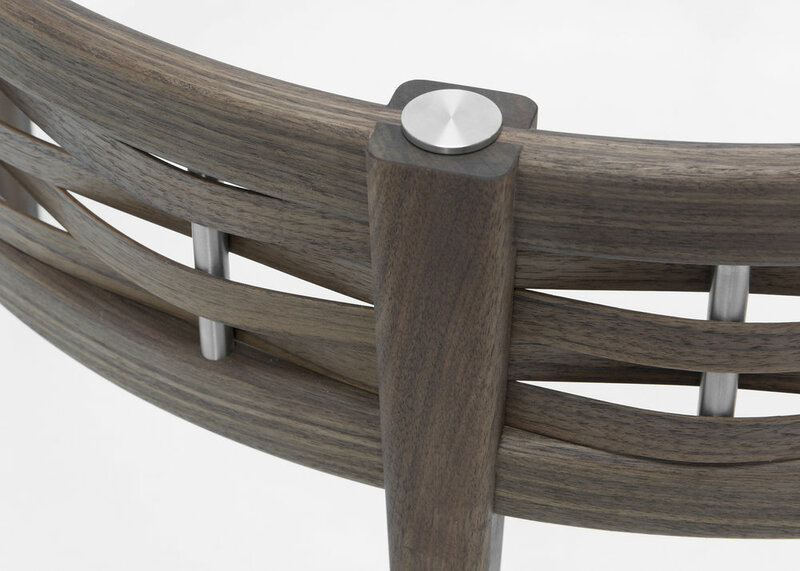 I learned to construct them in the traditional way from my father and have now taken them as inspiration for my ‘Watul’ range of furniture. 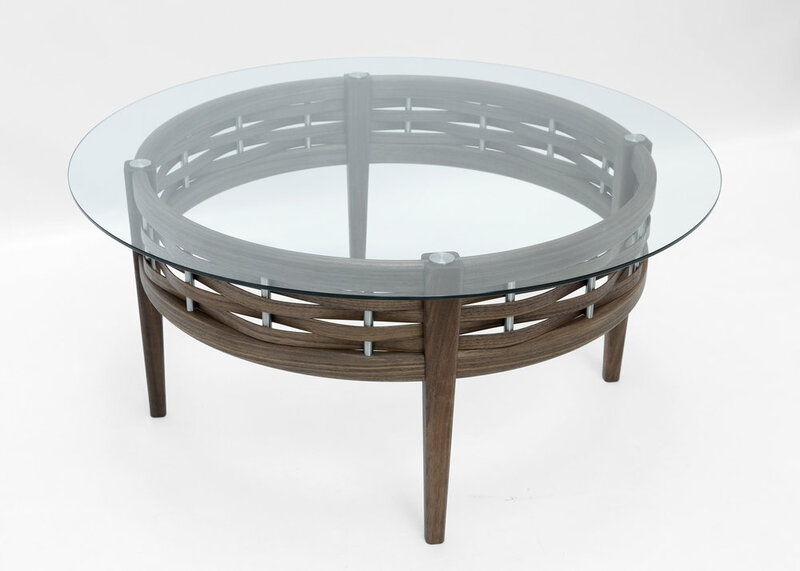 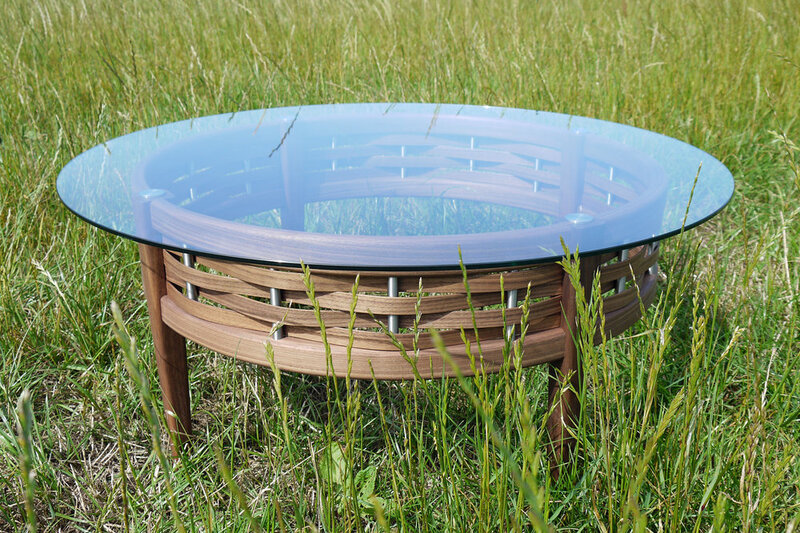 This coffee table combines rich, chocolatey American black walnut with stainless steel and glass to give a contemporary twist to an ancient aesthetic. 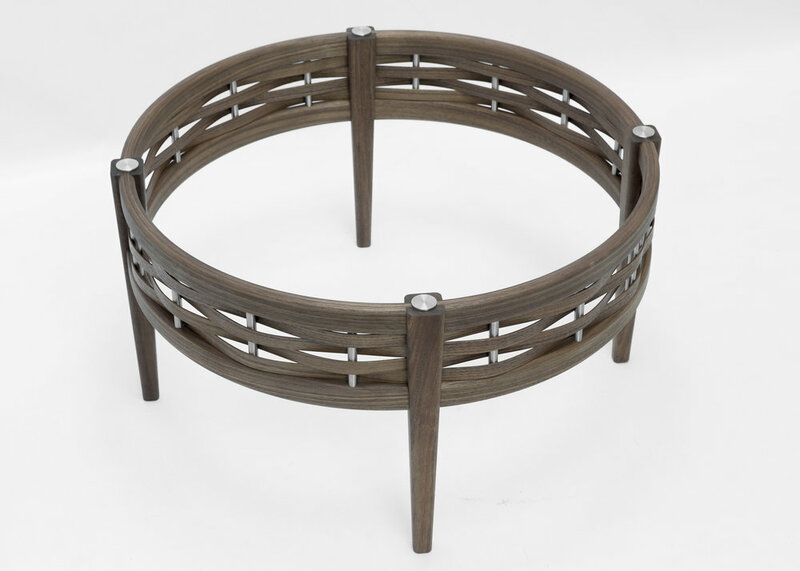 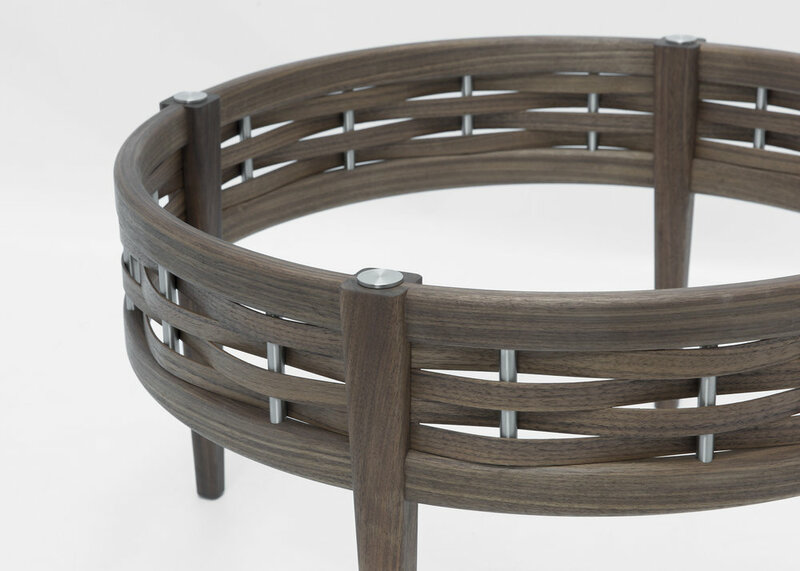 The decorative woven element can be incorporated into various designs from different shapes and sizes of coffee table to sideboards, beds, chairs and kitchen cabinet doors.